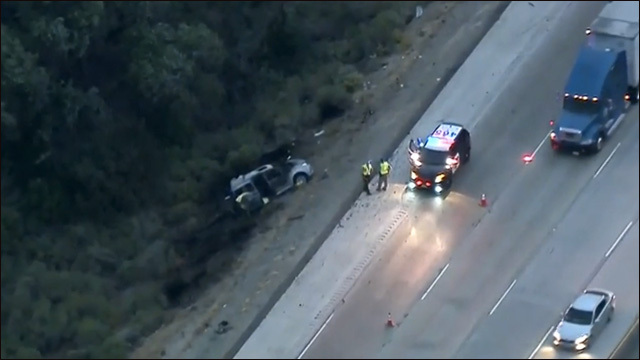 By the time California Highway Patrol officers arrived on the scene, the van was engulfed in flames. They tried to help save the families, but the fire was burning too fast and hot for fire extinguishers or life-saving efforts to work. It was too late. The officers had to restrain the two fathers to keep them from further injuring themselves. 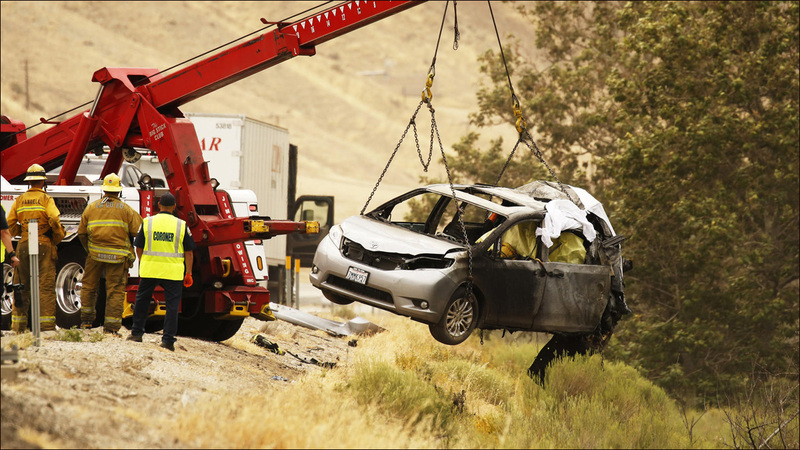 "Words can't describe what that was like when we arrived on scene," Officer Dan Williams told the Associated Press. "It was very horrific seeing them trying to get their families out, us trying to help get their families out. Like I said, the van went up in flames very, very quickly." The names of the six passengers have not been released. The AP reports that Ng and Li were airlifted to a hospital, where they are being treated for their injuries. They are listed in serious condition but expected to live. There have been no arrests and the investigation is ongoing. I can't even imagine. If anyone out there knows Mr. Ng or Mr. Li, or knows how the community can support them in this terrible time, please drop a line. We'll share the information here.